Just like any other new school term, you are going to be taking new classes and for those new classes, you will be needed new course textbooks. This may be leaving you with a sense of dread, and already anticipating the amount any one required textbook could cost for each class. College textbooks add up and the total cost could leave you and your bank account dreading future semesters and their required textbooks. Course textbooks can be optional, but highly recommended in order to succeed in the course. Course textbooks are on reserve in the campus library, where you can access them for a couple of hours. There is an open access for technology during class time. When course textbooks are optional, it is important to figure out whether you are the type that relies on a textbook for studying. If you are one to buy a course textbook and not spend a minute looking at a single page, you are better off not buying the course textbook and saving your money. However, if you know from past experience that you do benefit from having access to your own copy of a course textbook, going ahead and purchasing your own copy of the course textbook is well worth the investment. Sometimes, college professors will put a few copies of the course textbooks on reserve in the campus library so that students that choose not to buy the course textbooks still have access to them to complete weekly readings and assignments. If you are the type to plan well ahead of time and set aside time to complete your assignments regularly, this option may be the perfect option that helps you stay within a college budget. If your professor or TA is not strict on technology, you may be able to get around getting your hands on a free, digital copy of your course textbooks. This option may not work if you are required to have access to the course textbook and are not able to use technology during class time, but if you are allowed to use technology during class time, finding a free (or cheaper) digital copy of your course textbook can be perfect for saving money on this spring semester’s textbooks. 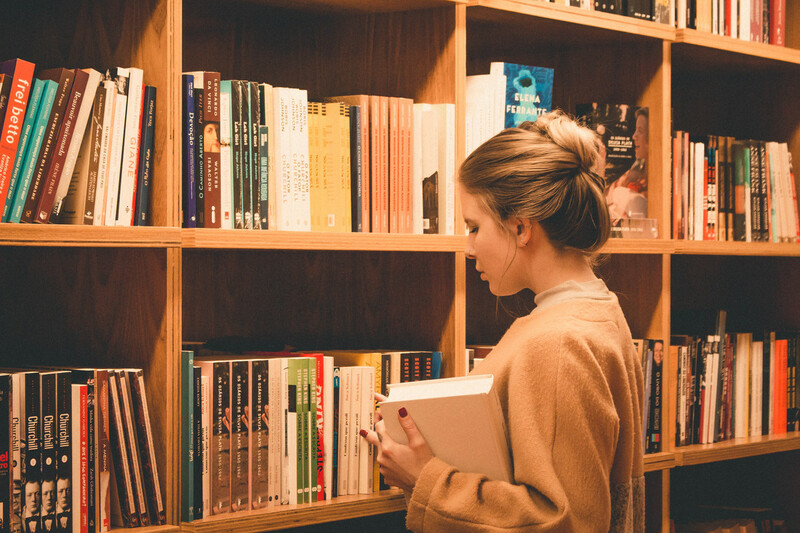 When you are buying your spring semester textbooks, you might be thinking of that brand new, shrink-wrapped textbook sitting on the shelf of your campus bookstore, but that same textbook may be the very thing that pushes you past your strict college budget. Instead of splurging of a brand new copy of every course textbook you need, try buying used textbooks when you can find them. Sure, they may be a bit more beat up or worn down than you are used to, but they are still well more than ready to be used for your spring semester coursework. However, with used course textbooks it is important to take caution if the copies seem a little too worn – important pages could be missing or an excessive amount of notes can make future studying even more tedious when you have to read around someone’s messy notes. If your course requires you to purchase an access code with your course textbook, you will also want to double check and see if access codes are provided with the used course textbook. They usually are not, as access codes only come with the original purchase. If that is the case, see if you can buy the access code by itself from your campus bookstore or from the textbook’s publisher themselves. This way, you can save much-needed money on the course textbook that you can buy used, and use the leftover money in your college budget for the necessary access code. If you think that the prices at your campus bookstore are too high for your college budget, do not be afraid to look elsewhere for your spring semester textbooks. You can look at multiple other options: sites like Textsurf, marketplaces like Amazon, or different Facebook groups for students from your university. Try doing a quick search on Facebook with “textbook” and the name of your college, and you are bound to find at least one established group/page dedicated for students trying to sell their used textbooks and belongings like furniture and clothes. 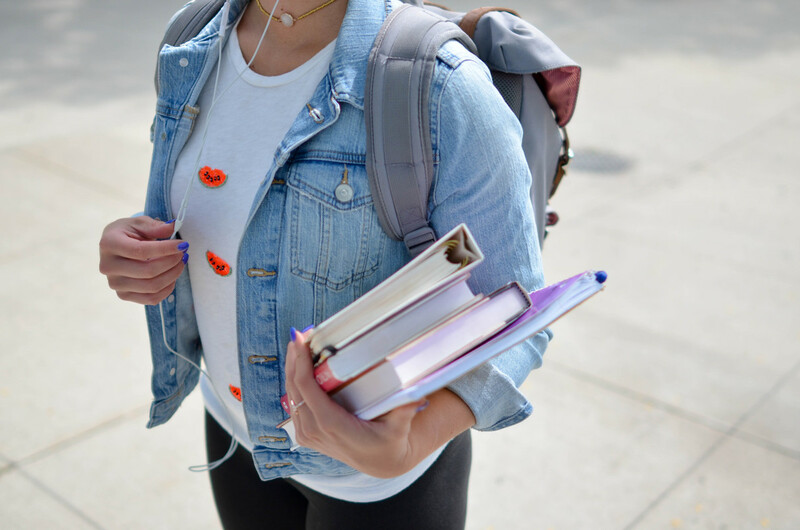 Join these pages to look for your spring semester textbooks, it may take a little more effort, as you have to rely on what other college students are posting, but the effort can end up proving fruitful. College students will often be willing to lower the price of their listing when they really just want to get old course textbooks out of their hand and get at least some of the money they originally spent when buying the textbook when they needed it for themselves. You can also try finding package deals for course textbooks on Facebook groups. After taking a course, college students can choose to try to get rid of all the course’s textbooks in one go by offering them in a cheaper package deal. Or, students of a specific major will be selling many, if not all, of the required textbooks for popular courses in the major in one go. Taking advantages of these deals may be a great idea for you as they could be cheaper in the long run and save you the headache of finding course textbooks individually in the future. There are a few ways to save money on course textbooks every semester, and renting instead of purchasing them is definitely one of them. More than buying a used course textbook instead of a new course textbook, renting a used course textbook can save you even more money this spring semester. While the upfront cost of the course textbook may seem out of your college budget, the cost can be dramatically lowered when you decide to split the cost evenly with at least one classmate. This can be perfect if you often speak to the classmate as you can coordinate who will have the course book at any given point. Having to share a textbook also brings the advantage of having a reason to study with another person. Study groups or sessions can become a lot easier and more regular when you have a reason to meet up regularly. This idea is not going to be a good one if you are the type to study alone or prefer to study at off and random hours because you most likely will not be able to have the course textbook all to yourself if you and your classmate are splitting the course textbook. One of the ways that you can dramatically lower the costs of your required course textbook is to buy an older edition than the one listed on the syllabus. The newer the edition is, the more expensive it will be because it is more up-to-date. It will also be more expensive because there is less likely that there are used, cheaper options for the textbook if you are supposed to be using the most recent edition. Make sure to contact your professor and make sure that purchasing an older textbook for spring semester is okay. Some professors are more strict than others – some editions have different information or page numbers, but some do not have a big enough difference to matter. While it may not look as as new as recent editions, try buying an older edition of the required textbook to save some much needed money when buying your course textbooks on a college budget. One of the many perks of going to school when technology is everywhere and always improving is the ability to have access to your textbooks digitally. This can also be a factor that can lower the cost of your required spring semester textbooks, as less costs will ultimately go into creating a digital version of a textbook rather than the traditional hard copy (shipping, printing, etc.) Going the digital textbook route will also be a lot easier when you have to order the book last minute, as you do not have to wait for the textbook to be shipped to you, nor go out of your way to go pick up the textbook at the campus bookstore and face the long line of students there. Going digital for your spring semester textbooks will also allow you to skip out on hauling around your textbooks on campus and to your favorite study spots, making it much easier to study on the go, as long as you have access to technology that allows you to access the book (tablets, laptops, phones). Digital textbooks are also a bit different when it comes to purchasing versus renting them, as most publishers allow you to “buy” the textbook for a certain amount of time (just like renting). You will have access to the book for this period alone, so it is important to pay attention to the dates you are buying it for. This feature may come in handy if you are one to skip out on doing readings weekly and prefer to use the course textbook at the end of the semester when final exams come around. Instead of spending money to purchase the course textbook digitally for entire duration of the semester, you can choose to go for a cheaper and shorter duration at the end of spring semester when you will actually use the course textbook. Before buying your digital textbook, it is important to make sure that you will be allowed to access the textbooks in class. For example, if your professor requires you to have steady access to a course textbook during class time, but does not allow any forms of technology like laptops or tablets during class, it is better for you not buy a digital textbook that you cannot access during class time. Having to buy a new set of textbooks every semester is a bit of a hassle for students, especially on a college student budget. However, buying your spring semester textbooks doesn’t necessarily have to break your budget. Hopefully one of these options will help you save money this upcoming semester, giving you extra money for saving (or even treating yourself).